Buy Re-Certified DIRECT from Definitive Technology! 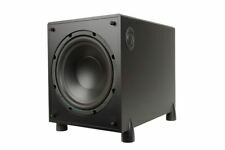 This auction is for the pictured, used Definitive Technology ProCinema ProCenter 1000 Center Channel Speaker - Black. Condition is Used but in perfect working condition. Shipped with USPS Priority Mail. • Instantly locks in place with powerful neodymium magnets. • Optional square grilles ensure a match with any ceiling lighting style. Installation and Setup is a Snap. • Paintable for the ultimate in invisibility. This sub works great-very powerful. Aside from the top cap it’s in nice cosmetic shape. Top cap is removable (could refinish). This is a 10” active with dual 10” passive design. It’s about 14” on each dimension but plays like it’s a larger model. Will be securely packaged and insured for purchase price. Get rich sound from these compact bookshelf speakers. Each has a 6-1/2" woofer and an 10" bass radiator that extends their low-frequency response down to 24 Hz. Advanced crossovers ensure that each frequency makes it to the right driver, so you hear all the detail and depth of your favorite music and movies. These speakers are 5 years old. The surrounds are not dry rotted, and the woofers/tweeters/bass radiators are fully functional. Power Range: 10-200w RMS. H: 10-13/16". These are great Definitive Speakers. They have been fully tested and they work and sound great. They are very clean with very little marks if any. A couple of the tabs on the speaker grilles are broken off but do not hurt them in anyway, they stay put like they should. 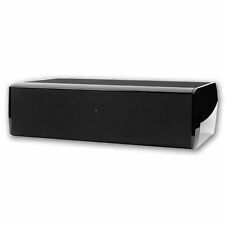 Definitive Technology Black Bipolar Surround Speaker - SR9040 (Each) Brand New ! 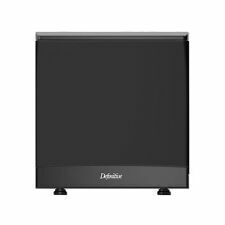 Definitive Technology Black Bipolar Surround Speaker - SR9040 (Each) Brand New. Price is for one speaker. One was opened to ensure contents. These are in sonically excellent condition. This is what obsession sounds like. DEFINITIVE TECHNOLOGY BP-9020 (EACH). 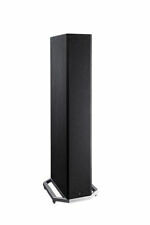 DEFINITIVE TECHNOLOGY BP-9020 FLOOR STANDING SPEAKERS (EACH). (1) 8” woofer and bass vent. LED Backlit Definitive Technology Logo. Definitive Technology ProCinema ProCenter 60 Center Channel Speaker. Condition is Used but is excellent condition and sound amazing. Shipped with USPS Priority Mail. Definitive Technology CLR 2500. This model has a powered sub and plugs into a wall outlet. It works as intended and is in good condition. Definitive Technology StudioMonitor 45 Main / Stereo Speakers -by DEFINITIVE TECHNOLOGY. Elkridge, MD. BP1.2X Specifications Efficiency: 90 dB. 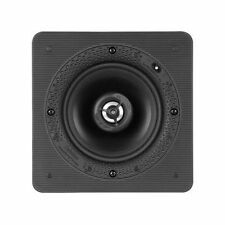 Here is a link(copy and paste) to the DT website with all the specs and info on these speakers. Great condition/performs as should/sound great. Sock surrounds in good condition. 300 watt internal subwoofer amplifier. 10" woofer pressure-coupled to a 10" low bass radiator. continuously variable low-pass 40-150 Hz crossover. 80 Hz fixed high-pass crossover for speaker-level outputs. matte black finish. Definitive Technology Mythos Six Main / Stereo Speakers. Condition is New. Thank you for considering purchasing this new in the Box, and opened speaker by definitive technology. Shipped with USPS Parcel Select Ground. 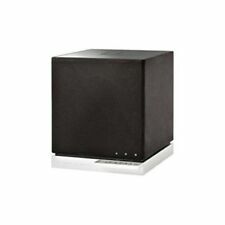 Definitive Technology SuperCube 2000 Powered Subwoofer. Condition is Used. Missing top cover. Missing carpet spikes. Includes power cable. Shipped with USPS Parcel Select Ground. TESTED AND IN GOOD WORKING CONDITION. SHOWING MINIMAL WEAR FROM NORMAL USE. REALLY A STRONG SUB. Definitive Technology CS-9040 Center Channel Speaker. Condition is New. Shipped with USPS Parcel Select Ground. Definitive Technology W9 Tri-Polar Wireless Audio Speaker - Black (Refurbished). Condition is Used. Shipped with USPS Parcel Select Ground. For Sale : Definitive Technologies CLR-2300 Shielded Center Chanel Speaker. The speaker is used but in very good. Single center-channel speaker. Specs taken from manual. Good working condition. (no remote). The A90 supports Dolby Atmos / DTS:X and easily connects and sits within the top of your Definitive Technology BP9060, BP9040 and BP9020 speakers, firing sound upwards, which is then reflected off the ceiling and back down to your viewing area. All the speakers and boxes under slip covers are very nice. More scratches on the bottom for obvious reasons. Still very nice looking speakers as you can see. 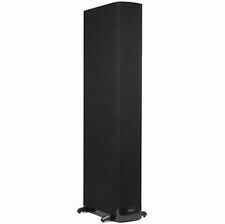 Definitive Mythos 2 Floor Standing Tower Speaker Set. Condition is Used. USED WORKING CONDITION. ONE SPEAKER HAS A SMALL RIP IN FRONT COVER GRILL AND SECOND SPEAKER TOP COVER IS MISSING. VIEW PICTURES. Definitive Technology produces a wide variety of home speakers and subwoofers that can enhance any sound system. These speakers are available in several formats and can include different features depending on the model you choose. You can browse eBay's selection to find the Definitive Technology speakers that work for you. What types of Definitive Technology speakers are available? Floor - These Definitive Technology speakers are designed to stand on the floor. They usually take a tower shape and might work well standing on either side of your television or audio source. Wall or ceiling - Some speakers will fit inside the walls or ceiling of your home. You may wish to use this option if you want to keep your Definitive Technology speakers out of your line of sight. Soundbar - You can place a soundbar directly on your audio source. What kinds of configurations can you choose? Single system - This setup will include a single speaker or subwoofer of your choice. 2.0 - Definitive Technology speakers with this designation will have dual speakers without a low-frequency subwoofer. 5.1 - This configuration includes five-channel speakers and one low-frequency subwoofer to provide you with a range of sound levels. Do Definitive Technology speakers come in different shapes? You can find Definitive Technology speakers in several shapes on eBay. The wide variety of shapes allows you to customize how your speakers look in relation to your home decor or multimedia setup. If you already have spots picked out for your speakers, you can purchase them in the shape that makes them convenient to place there. Common shapes for Definitive Technology speakers include squares, rectangles, and circles. Discover the perfect backpack, dorm room decorations, study supplies and great Definitive Technology home speakers to prepare for going Back to College. Content provided for informational purposes only. eBay is not affiliated with or endorsed by Definitive Technology.